Rand Water is working on the Water Main in this area fm 8am on 5 Sep to 5pm on 6 Sep (33 hours). The only area affected in Ward 117 is Pine Park and a water tanker will be placed at Dalmeny Rd & Gavin Ave. Other areas affected are Linden, Cresta, Windsor, Ferndale, etc. Find out more info here. The TimesMedia/Galleria Buildings will be imploded on the morning of 10 Sep. The immediate area will be locked down. Expect a loud bang and lots of dust. Last newsletter I put out an appeal for help to fix the 3-phase pool motor that burned out last summer and which resulted in it closing early. The good news is that the Aquatics Department of the City repaired it and the pool is being prepared for opening as I type this. I hope it will be open on or as close as 1 September. An agreement was signed and sealed between City Parks and PRABOA that allows the Parkhurst Residents Assoc more control over the park management with regard to fencing, signage, maintainance, security, etc. This is, hopefully, the 1st of many such arrangements in the Ward that will allow residents more control over facilities in their suburbs. There will be a public meeting for Region B on Wed 6 September at Marks Park, Judith Rd, Emmarentia fm 6-8pm. Cllr David Potter wrote the following in a recent email, and has also created a Google Form to capture your comments. Guided by the Spatial Planning and Land Use Management Act (SPLUMA) of 2013, the DRAFT pulls together legislation and 13 previous planning schemes into a single land use scheme for the entire area under City of Johannesburg’s jurisdiction. The DRAFT, is drawn up by the City’s Development Planning Department, and is not a party-political document. A 71-page PDF can be found here. Public participation will last for two months till 13 October 2017. Public comments will be taken into consideration before the final draft is forwarded to the Council for approval. Once the Land Use Scheme has been adopted, and before it is put into practice, there will be public workshops and consultations with all interested and affected parties. There was meant to be a 2nd Billing Open Day at Sandton Field and Study this Sat 2 Sep. But there is a strike/go slow in the Revenue Dept at Thuso House over the recent firings, so it has been postponed. Many of Joburg account holders have been caught out by the changes to due dates that occurred from February this year. The bills in Region B are generated around the 3rd of the month. This gives you about 15 days to pay – or around the 17/18th. If you are late on payment by even a day (see info below as this may be changing), a pre-termination note is issued (or sometimes you are just cut off without one). I would strongly advise you to change the due date to around the 28th of each month – send your requested date and acct #(s) to duesdates@joburg.org.za to do this. How Does the City Work Out its Cut Off Dates and Terminations? On 19 August, MMC Dagada announced new measures for terminations. I have summarised them below to make it easier for you. If these are not being stuck to, let me know and I will forward the queries to his office. – But it has to be accurately done. – Cut offs will therefore be handled at a higher level. – The cut off list issued by the City’s Credit Management team, will be reviewed by the Director of Credit Management. – The review will look for incorrect cut offs, accounts with queries, and accounts where payment has been made but it not reflected on the City’s system. – Due dates are 15 to 21 days from date of invoice. – Customers are often called by the City’s outbound collections teams a few days before payment is due, and when payments are 3 days overdue. – After another 3 days with no payment, a pre-termination notice is issued. – A pre-termination notice alerts customers that they need to make payment or make a payment arrangement to pay for the overdue amounts. – A pre-termination notice gives the customer 14 days to make payment or make a payment arrangement. – If payment is not received and no payment arrangement has been made, disconnection of services is effected within 7 days after expiry of the pre-termination notice. – All customers with arrears over 60 days are handed over for legal collection. Note that due to the Revenue Dept being on the go slow/strike, very few billing problems are being resolved. So if you have a valid billing query you need to make sure you log it EACH month at the Randburg Revenue Centre or via the Call Centre on 011-375-5555 and note BOTH the date and the Ref # you received. The cut-off teams going out are now actually taking notice if you have a valid reference number or if you have paid the account or made arrangements to pay it off. Cllr Martin Williams has produced a useful Survival Guide which I have re-produced below. Mayor Herman Mashaba and Finance MMC Rabelani Dagada have pledged to fix the billing problems besetting the City. While progress is being made, pre-termination notices and cut-offs are still causing concern. Many residents are receiving pre-termination notices when they have in fact paid, or they have not received a bill. If you have paid: Print your proof of payment. Keep it handy, along with your account and any other relevant documents (emails, etc). If anyone arrives to cut you off or to serve a pre-termination notice, show them proof that your account is up to date. Keep a record of this interaction. No bill received: Until the system is sorted, you should try to get it online by registering as a user on eservices . joburg . org . za. Keep your account number and PIN handy when using this service (its usually found on your bill). Follow the link “account by email/MMS” in order to VIEW and download your account PDF. If you are struggling – try a new browser and use a laptop/desktop computer. (This is now my advice) Ignore it if it is in error or you have paid the account. Keep proof of payment or proof of error handy though. You are charged around R280 for each pre-term you receive, so when the billing crisis calms down, you should claim this back from the City. Make sure you keep a copy of the pre-term notice. (This is now my advice) First – if you are in arrears, then pay the bill. Do it online and print/screen capture proof of payment. If you have a valid current billing query, go get your recent ref # and date logged. Take a pic/scan of the cut-off notice. Then email the following to your councillor (in a DA ward click here to find who it is). Keep it short and sweet and use this format. Note that it is more difficult to re-connect you over weekends and the evenings – so don’t leave it for days and then contact your cllr at 4pm on a Friday. Don’t be shy – contact them ASAP. We can escalate to a re-connection person who will send out a team to sort you out – usually within a day. Attach Proof of payment AND pre-termination notice. The concert will start around 11am and continue to around 5pm. It is free. If you are attending, I would suggest you walk in from your property, get dropped off at the perimeter (a good place with the least walk is at cnr Cardigan and Chester Rds in Parkwood) or catch a free bus from the Civic Centre in Braamfontein or from Marks Park in Emmarentia. Ubers and other taxis will not be allowed inside the perimeter. 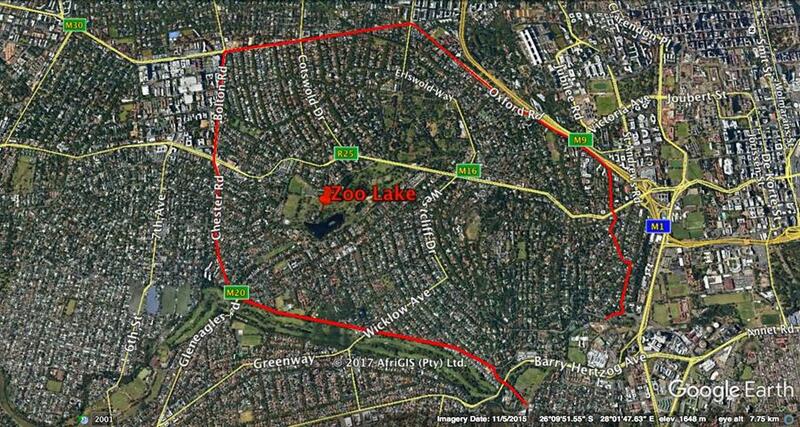 – Parkview/Greenside East: Carlow Rd, Emmarentia Rd, Derry Rd. – Parkwood/Saxonwold/Rosebank/Forest Town: Chester Rd, Bolton Rd, Oxford Rd. – Jan Smuts from Bolton/Chester to Loch will be closed. Residents must have passes and they are only for residents inside the closure. If you live in Parkhurst, Parktown North, Houghton, Greenside, Rosebank, etc. then you don’t need a pass. Passes are available from the Residents Associations in Forest Town, Parkview and Saxonwold/Parkwood. For Saxonwold/Parkwood – register on www.sapra.org.za and then contact Tessa on 0823300704 / tessa@turveysa.co.za or Fran Haslam on 0828871469. For those who didn’t get a pass, some will be available at the Rosebank Police Station on cnr Sturdee and Tyrwhitt Aves on Sat 2nd and Sun 3rd Sep. You will need your ID and a copy of your Telkom or Municipal Bill. For other queries or complaints, please call the organisers on 0613946165.